Pogledajte najbolje fotografije iz cijelog svijeta za dan 11. decembar 2017. godine. 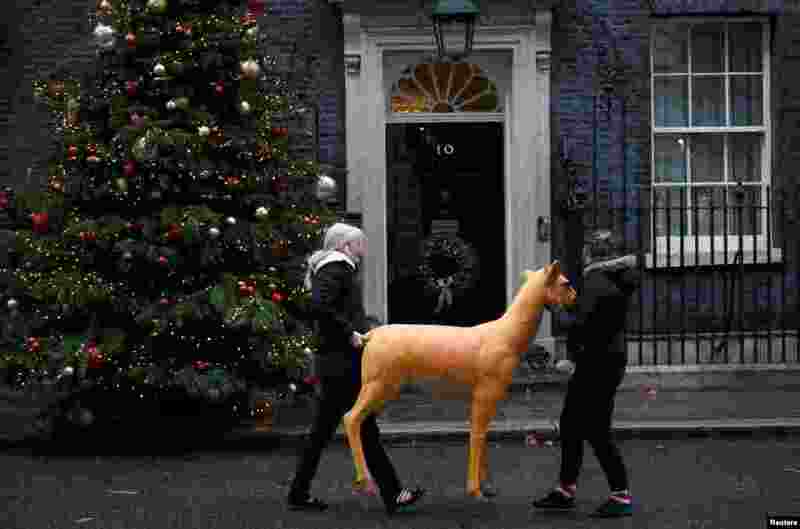 1 Two young women carry a model reindeer past 10 Downing Street in London, Britain. 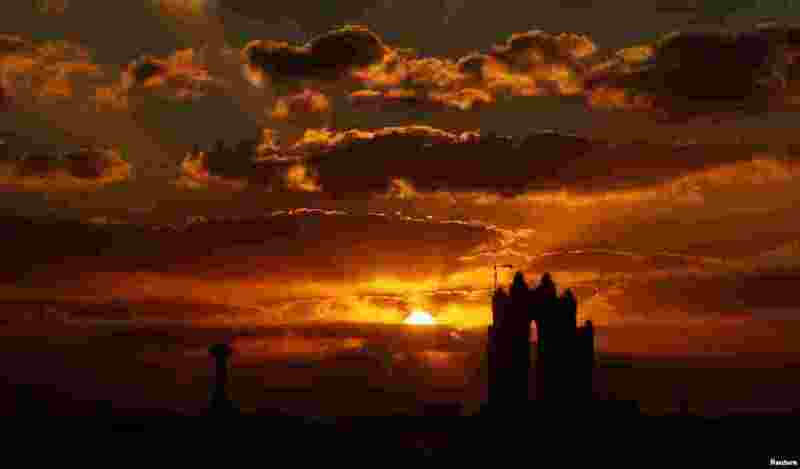 2 The sun sets behind the Fairmont Hotel in Abu Dhabi, United Arab Emirates. 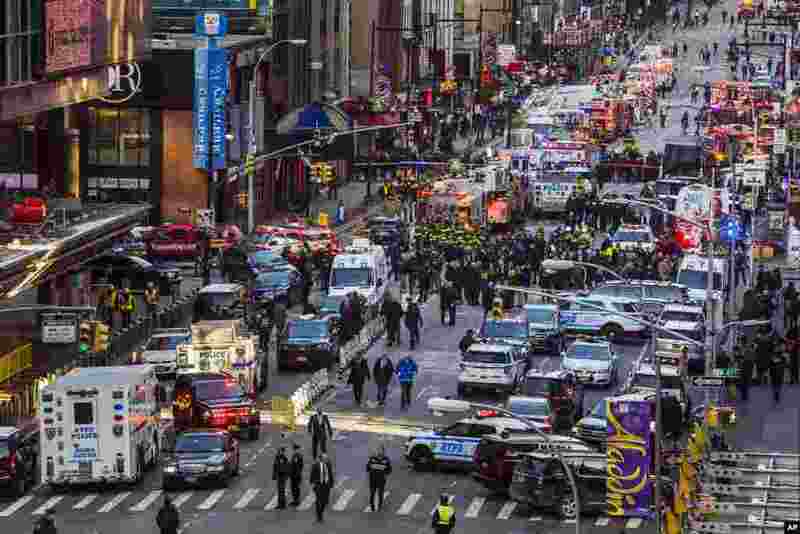 3 Law enforcement officials work following an explosion near New York's Times Square. Police said a man with a pipe bomb strapped to his body set off the crude device in a passageway under 42nd Street between Seventh and Eighth Avenues. 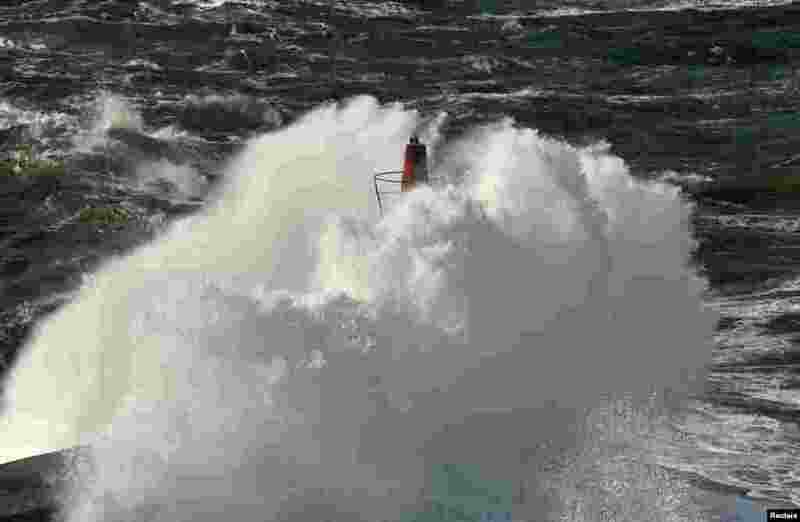 4 Waves crash against a lighthouse on the Viavelez seafront in the northern Spanish region of Asturias.